Oakville Chiropractor: We can help your headaches. 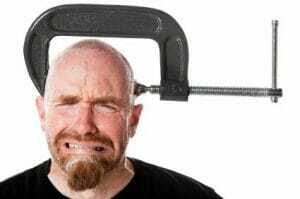 What Triggers Headaches From an Oakville Chiropractors perspective. What Triggers Headaches – Almost everyone has a headache between now and then, but what is a headache and what causes it? A headache is identified as pain in the head and/or the upper neck. There are different types of headaches and each one has its own trigger. Tension headaches occur at the back of the head, the temples, or across the forehead. These headaches are occasional, or frequent, and last for thirty minutes to several hours. lack of sleep , poor posture, smoking , jaw clenching, and stress can trigger tension headaches. Migraines are caused by hormonal changes, change in sleep schedule , exposure to bright light such as sunlight , alcohol , chocolate , cheese or strong odors such as perfume. Migraines last for four hours to three days and occur several times a year . These headaches are located at the front or side of the head, and cause moderate to disabling pain. Those who drink alcohol or take nitrate medicines for chest pains are most likely exposed to cluster headaches. These headaches occur for fifteen minutes and could exceed three hours. The pain behind one eye or one temple can be severe to excruciating, and runny nose , drooping eyelids , and tearing are symptoms and signs of cluster headaches. Medications are available to treat headaches, but often don’t work and make the situation worse. Spinal manipulation is one of the best ways to treat headaches. If headaches become very severe , it is highly recommended to see a healthcare professional immediately. At Nottinghill Family Wellness Center , our Oakville Chiropractor Dr. Steven Knighton is experienced with headaches and can treats them without any medication. Do not hesitate to call 905-827-4197 if you come across any symptoms.